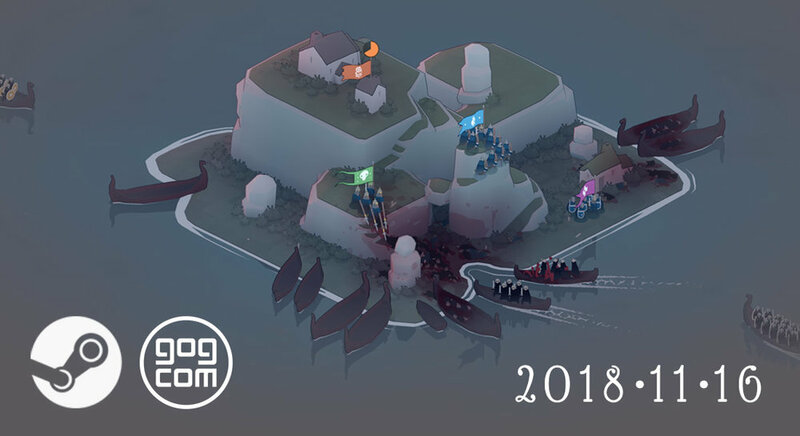 That’s right, Bad North will be releasing on Steam, GOG and Kartridge next Friday (November 16 2018). This will also mark the first launch for Mac OSX which we know will be great news for some of you! The Mac version will also be available via the Mac App Store. This release will include all of the updates to date, plus everything from Patch 1.05, which we haven’t even announced yet! We’ll also be doing a livestream on Steam to celebrate, so please join us on November 16th @ 7pm CET / 10am PST for a chat with the devs and an attempt at beating Hard mode! You can already get Bad North on Discord (Windows), Nintendo Switch, XBox One & PlayStation 4 today! You can also join the Raw Fury Discord Server to chat to other players about the game!